In the foreward, this book and system is described as “life management, not time management”. All moms have challenges trying to fit in work, kids, recovery time, friends, spouses, family, and an endless list of household tasks. 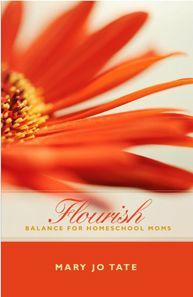 This particular book addresses those issues faced by homeschooling moms, with particular interest in moms who work from home. 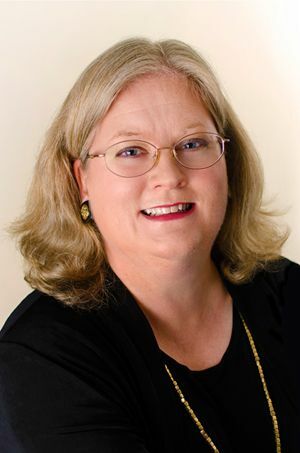 Mary Jo Tate is also a single mom, and she hasn’t forgotten this sector of homeschoolers who are frequently ignored, particularly in the Christian homeschooling world. She mentions single moms throughout the book, and there is an entire chapter devoted to encouragement for them (us), as well as things other families can do to help make a single-parent family’s journey easier. Most of us are busy trying to juggle everything, keeping all the balls in the air. Tate contends that we need to focus more on balance than juggling. Do the things that are truly important, and say no to the others. Yes, the laundry has to be done. So do the dishes, sweeping, and cooking. But are your kids old enough to help with any of that? Can you afford to hire someone to do some of the tasks that take up time you could be using for your business? Personally, I can’t afford to hire anyone, but I have had the kids start doing more around the house. They both had a few little chores, but for most things, it was easier for me to just do something myself than teach them how to do it, and check later to see if they had done it right. (Or at least not broken anything.) This book reminded me that I wasn’t doing myself, them, or my future daughters-in-law any favors by not teaching the boys how to perform basic household tasks. As for those things that can’t be dismissed or delegated, Tate offers excellent advice: “Find peace in the space between the ideal and reality”. She also suggests that moms focus on the positive, rather than the negative (advice that most of us have given our children, but don’t always remember to follow ourselves). Instead of saying, “I don’t have time for this,” turn it around to, “How do I make time for this?” But make sure that it’s something you should be making time for. The book is long, and full of great information you’ll want to absorb, but it can also be read fairly quickly, and has plenty of stories to keep you entertained. If you’re like me, it can be a little emotional, too. I wanted to cry when I read the chapter for single moms, simply because I was thinking, “It’s not just me. Someone else gets it.” I didn’t cry, because I was reading at the dentist’s office (multi-tasking only works when one of the tasks is something you don’t have to focus on). I do have a few single homeschooling friends, and I admire them more than I can say, but somehow it was different to read that this complete stranger has dealt with the same issues and feelings that I have. I only had a couple of small issues with the book, and they had nothing to do with content. The script font at the beginning of the sections is pretty, but it’s hard to read. (Yes, I’m aware that my blog titles use a similar script. I’m planning on changing that.) I read a book from front to back, including acknowledgements, dedications, forewards, everything. In this case, that included the seven pages of “praises” and testimonials at the front of the book. Okay, I didn’t actually read all of them, because after a page or two, I was done, and by the time I flipped through seven pages, I thought I was never going to get to the actual book. Tiny irritations aside, this book is immensely helpful, and is one that I will not be getting rid of. When you purchase the book ($15), you’ll also get access to customizable versions of the forms she mentions in the book, for weekly planning, yearly planning, goal setting, and a time log. Using Tate’s suggestions to write down my “Big Dreams”, and break the work needed to accomplish those things down into yearly, monthly, and weekly goals was very useful. I’ve read the same advice in many other books, but something about the way Tate writes really spoke to me, and I actually wrote down my goals for the first time. This entry was posted in The Old Schoolhouse Review Crew and tagged homeschool moms, homeschool resource, organization, time management, WAHM by Amanda Beaty. Bookmark the permalink.